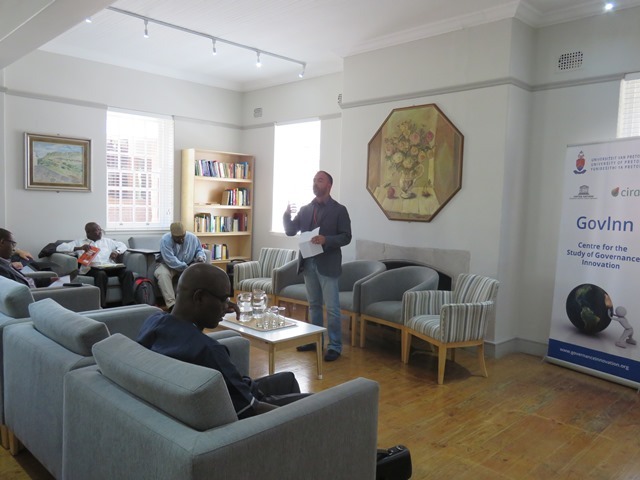 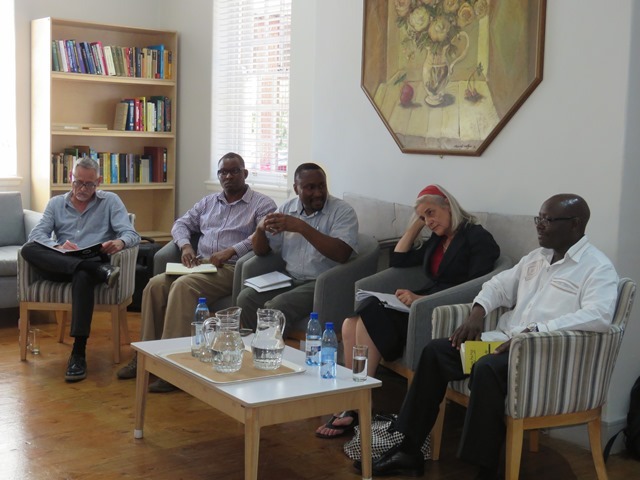 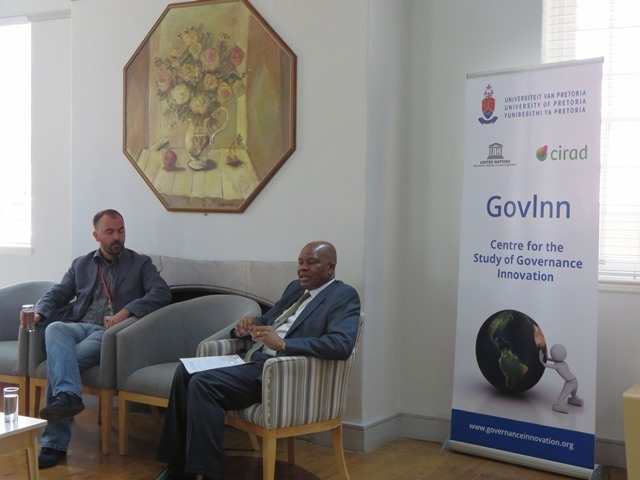 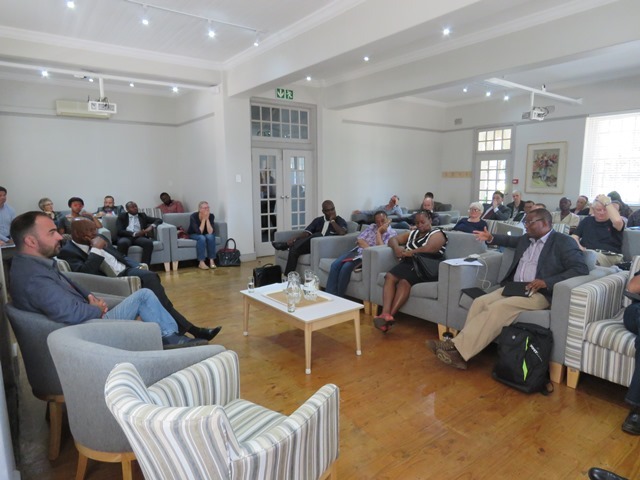 On Monday 23 November, The Centre for the Study of Governance Innovation, in conjunction with the Department of Political Science at the University of Pretoria, hosted a one day public discussion to position the state of Ubuntu in South Africa. 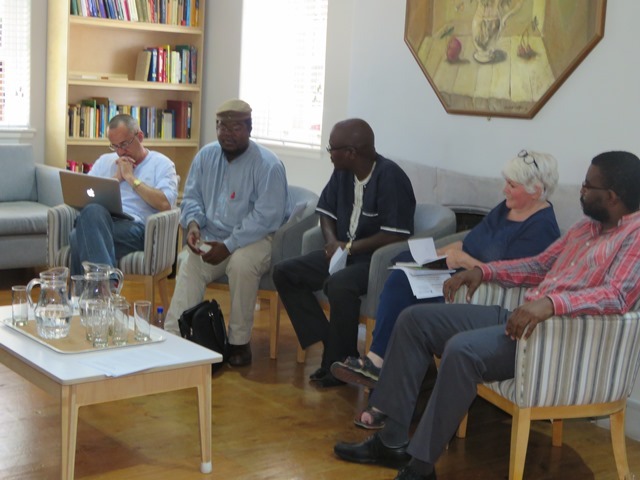 The meeting was attending my many well known academic and independent thinkers on the subject of Ubuntu, and below we have short gallery. 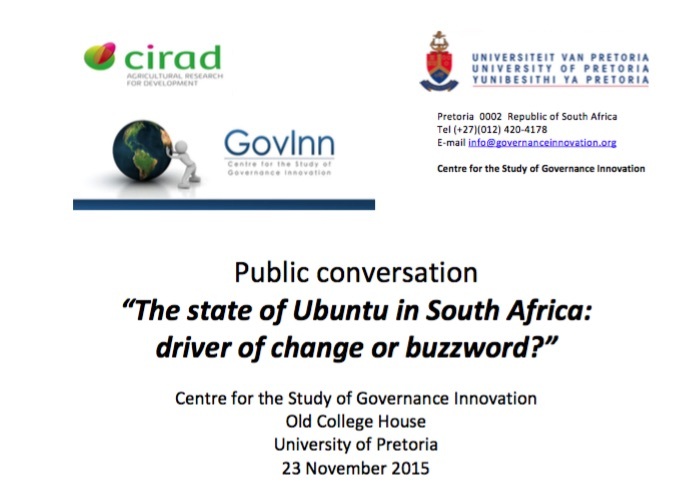 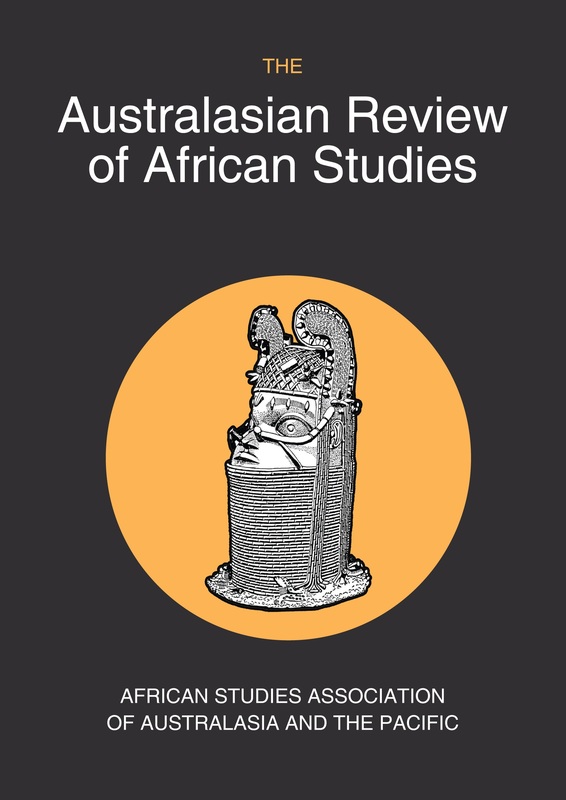 To see the full programme click here.